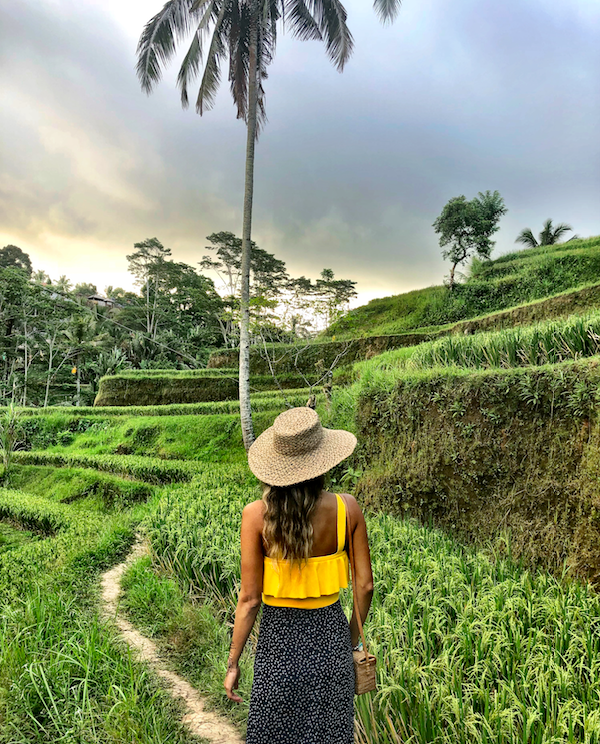 If you've been following me on Instagram, you might already know that I recently got back from a trip to Thailand and Bali. I can't wait to share with you my travel guides filled with tons of helpful tips and tricks I picked up along the way. 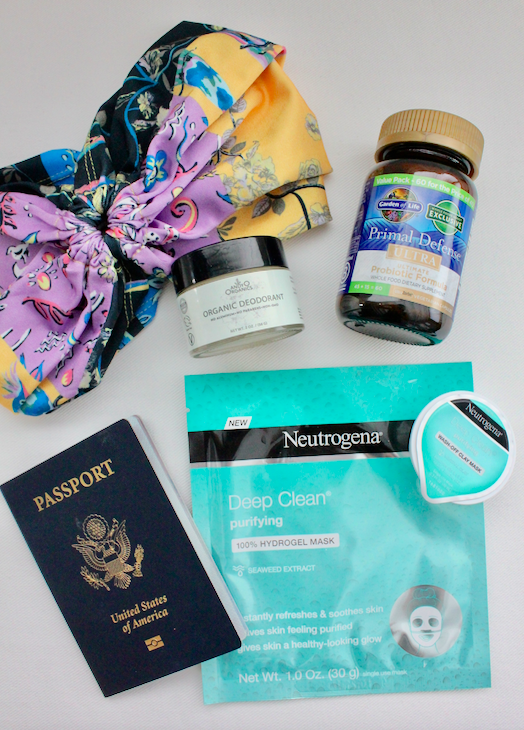 In the meantime, I wanted to share with you some of my travel must-haves. 1. A headband or a turban: I don't know if it's because I've dyed my hair so much, but lately my hair has been out of control. Then you add in the humidity of Thailand and Bali and you're in for some serious frizz! During my trip I got caught in the rain and my hair turned into a bird's nest. Luckily, I was able to buy a headband (I picked this one up at a MANGO store in Malaysia) and it has now become the one-piece I always travel with, especially if the beach and water is involved. Headbands are great for concealing a bad hair day and help you look put together. 2. Neutrogena Deep Clean Purifying Hydrogel Mask & Wash-Off Clay Mask: After traveling 20+ hours, your skin is in need of some serious TLC. I recently received a few products from Neutrogena and these two have become my absolute favorite. 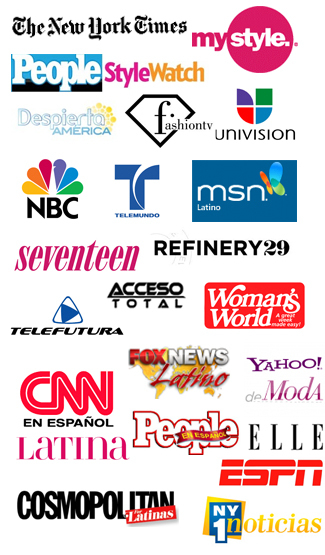 I take them with me every time I travel, whether it's on vacation or before a TV shoot. After a day of being out in the sun, it was nice to just head back to my hotel and give myself a face mask. It left my skin feeling refreshed and soft. I love that it's made with seaweed extract. It also helps purify the skin and cleans out the pores (preventing future breakouts). The wash-off clay (which is made with bentonite clay) is also the perfect travel-size, especially if you're only traveling with a carry-on, like I was. 3. AndyO Organics, Deodorant: One item that will come in very handy in Thailand is deodorant! The weather is generally very hot and humid (even for this Miami girl). If you're not prepared, you'll have some serious BO. I'm so happy to report that the organic deodorant that I launched, AndyO Organics, really stood the test. I only applied it once in the morning and after doing some serious sweating, there was no smell whatsoever. Not only that, but you're not putting toxic chemicals like aluminum on your body. It's only made with USDA certified organic ingredients. 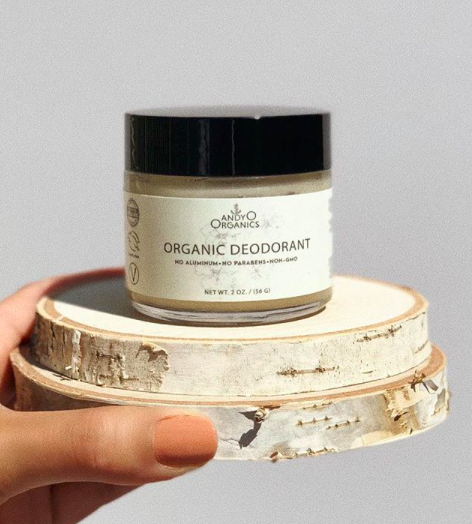 It's an organic deodorant that actually works! 4. Probiotic: I had heard many stories of friends that got food poisoning while visiting Thailand. That's why the first thing I pack when traveling is my probiotic. If you're new to probiotics, I suggest you start taking it at least two weeks before your travel date. Probiotic are like the "good guy" bacterias in your stomach that help fight the bad ones (at least that's how I explain it to my 5 year-old lol). Most importantly, it helps boost your immune system and helps keep your gut healthy. I normally use one that requires refrigeration, but when I travel I like to use capsules (that don't need to be refrigerated) like Garden of Life's Primal Defense.